Nice piece on David Thomson. The People of the Sea has long been a favorite and I’m enjoying Nairn in Darkness and Light now. I’ll keep an eye out for Camden. 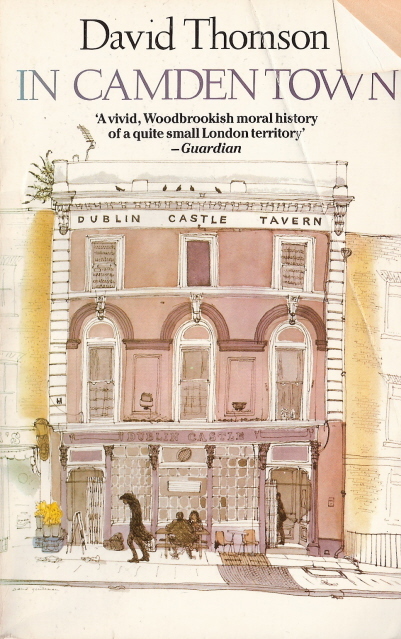 I went into my favourite second-hand book shop at Camden Lock and this book sort of chose me – it was the first book I noticed and I had never heard of it, but I was staying in Camden for the night and it was called “In Camden Town”, so I bought it for £2. As soon as I started reading it I could not put it down, it went everywhere with me, even when I knew I had no chance of reading it I just wanted to know it was there, I loved it so much. His writing is wonderful, I feel as though I met every one of the characters, and there is stunning history, humour, empathy and sadness in his work too. This book has the most vivid and emotional last paragraph of any book I have ever read, with a genius descriptive image that will haunt me forever. This book deserves to have so much more acclaim and I am so glad to have found this review.